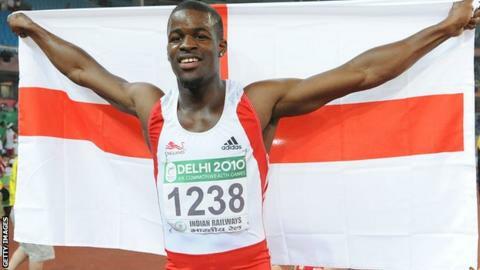 Commonwealth Games 200m champion Leon Baptiste has announced his retirement from athletics. The 28-year-old British sprinter has quit competing in order to focus on coaching. Baptiste, who also won a sprint relay gold medal in 2010, was ruled out of the London Olympics after knee surgery. "As much as I am sprinting and progressing, my body has never fully recovered from my knee surgery," he said. "My coach and I feel that Glasgow Commonwealth Games qualification is a tall order - so the time has come for my focus to move elsewhere. "The decision for an athlete to retire is never easy, especially with the defence of my titles just around the corner, but in essence the decision has been made for me." Baptiste has been developing his coaching skills under the guidance of his own coach, Steve Fudge. The opening ceremony of the Commonwealth Games in Glasgow is on Wednesday, 23 July.